They were developed in the 1960s and have been largely superseded by wing and vest type BCs, primarily because of their tendency to shift the diver's center of buoyancy towards the head with inflation, which adversely affects trim underwater. 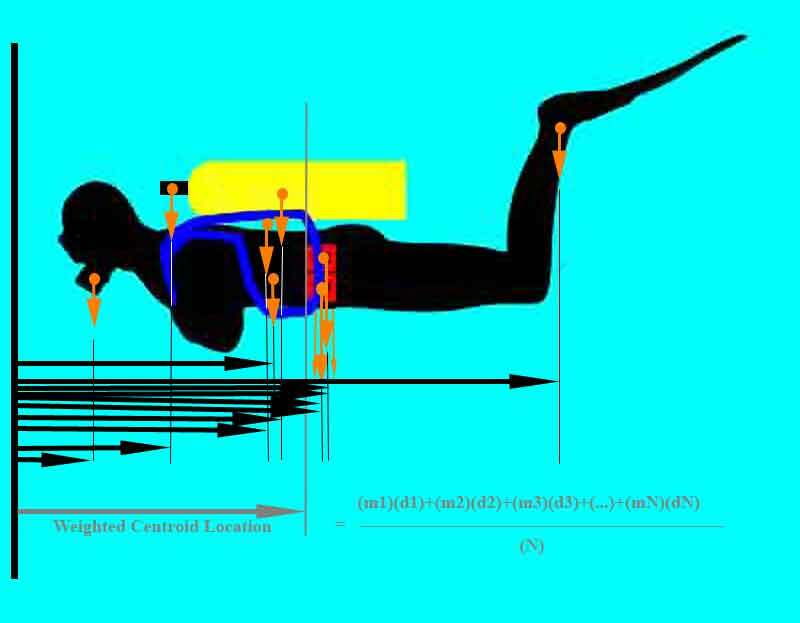 The ABLJ's location on the diver's chest and round the neck provides the best buoyancy distribution of the buoyancy compensater designs when it comes to floating a distressed, fatigued or unconscious diver face-up on the surface in the event of a problem. As the dive proceeds, gas is consumed from the diving cylinders of the breathing equipment. This represents a progressive loss of mass which makes the diver more buoyant; the diver’s overall buoyancy must be reduced by venting air from the BC. For this reason the diver needs to configure his equipment to be a little overweight at the beginning of the dive so that neutral buoyancy can be achieved after the loss of the weight of the breathng gas. Air or nitrox weighs about 1.3 grams for every litre at standard pressure. Thus, the magnitude of weight change from loss of air during a dive varies from roughly 4.3 kg (9.5 lbs) representing the total air content of a steel 15 litre cylinder at 230 bar/3500 psi (in practice, reserve requirements dictate that only about 8 lbs of this will be breathed), to about 5 lbs difference for the smaller 80 ft3 aluminum-80 (AL80) tank (11.1 litres internal capacity) pressurised to 200 bar/3000 psi, and again assuming that only 5/6ths of the air in the tank is used, leaving a typical safety reserve. A feature of scuba which is often non-intuitive for beginners, is that gas generally needs to be added to the BC when a diver descends in a controlled manner, and valved-off (removed or vented) from the BC when the diver ascends in a controlled manner. This gas (added or vented) maintains the volume of the gas bubble in the BC during depth changes; this bubble needs to remain at constant volume for the diver to remain even approximately neutrally buoyant. When gas is not added to the BC during a descent, the gas bubble in the BC decreases in volume due to the increasing pressure, resulting in faster and faster descent with depth, until the diver hits the bottom. The same runaway phenomenon, an example of positive feedback, can happen during ascent, resulting in uncontrolled ascent, until a diver prematurely surfaces without a safety (decompression) stop. With experience, divers learn to minimize this problem, starting by minimizing the size of the "constant volume bubble" in their BC's. This requires learning the minimum weighting requirement needed for their system (see factors above). These techniques keep the volume of the gas bubble within the BC as small as possible at the beginning of a dive, while leaving just enough gas in the BC at first submersion to be able to compensate for the expected slow loss of diver weight as the dive progresses, as a result of gas used (in practice, about 5 to 8 lbs. lost per cylinder, as noted above). Somewhat complex automatic reflex behaviors are also developed by experienced divers, involving breathing control and BC gas management during depth changes, which allow them to remain neutrally buoyant from minute to minute during a dive, without having to think much about it. Experienced scuba divers may often be identified by the fact that they maintain neutrality without any fin use, as fish do. Most BCs allow oral inflation both underwater and on the surface. This could theoretically reduce gas consumption, but is generally not considered worth the effort and slightly increased hazard of taking the DV out of the mouth underwater, and possibly having to purge it before breathing again. Oral inflation is, however, an alternative inflation method in case of a failure of the pressurized inflation system. Emergency inflation by expendable CO2 cartridge is provided on some BCs. The ABLJ was developed by Maurice Fenzy in 1961. Early versions were inflated by mouth underwater. Later versions had their own air inflation cylinder. Some had carbon dioxide inflation cartridges (a holdover, for surface use, of the Mae West flyer's lifejacket) to facilitate emergency ascent. This was abandoned when valves that allowed divers to breathe from the BC's inflation bag were introduced. The Fenzy ALBJ provided a proof of concept for buoyancy compensation, however the large-volume ring behind the diver's neck caused the jacket to ride up against the diver's windpipe, despite the crotch strap. In 1968, dive shop owners, Joe Schuch and Jack Schammel, developed a more comfortable buoyancy compensator vest that featured a smaller buoyancy ring behind the diver's head, and a midriff section with sufficient volume to lift the diver's head out of the water in the event that one or both of its CO2 cartridges were detonated for emergency ascent. In 1969, the original Control Buoyancy Jacket or "CBJ" was manufactured by Waverly Air Products of Chemung, NY and sold in dive shops throughout the east coast of the United States. By 1970, a push-button inflator using air from the diver's SCUBA tank augmented the manual inflation hose. 40x40px Wikimedia Commons has media related to Buoyancy compensators. ^ a b Kakuk, Brian; Heinerth, Jill (2010). Side Mount Profiles. High Springs, FL: Heinerth Productions. ISBN 978-0-9798789-5-4. ^ a b Williams, Guy; Acott, Chris J (2003). "Exposure suits: a review of thermal protection for the recreational diver". South Pacific Underwater Medicine Society journal 33 (1). ISSN 0813-1988. OCLC 16986801. Retrieved 2009-06-13. ^ Fead, L (1979). "Is dropping your weight belt the right response?". South Pacific Underwater Medicine Society Journal (reprinted from: NAUI News, September 1978) 9 (1). ISSN 0813-1988. OCLC 16986801. Retrieved 2009-06-13. ^ Passmore M.A, Rickers, G. (2002), Drag levels and energy requirements on a SCUBA diver Sports Engineering 2002, 5, 173-182, Blackwell Science ltd.
^ a b Jensen, FG; Searle, Willard F (1957). 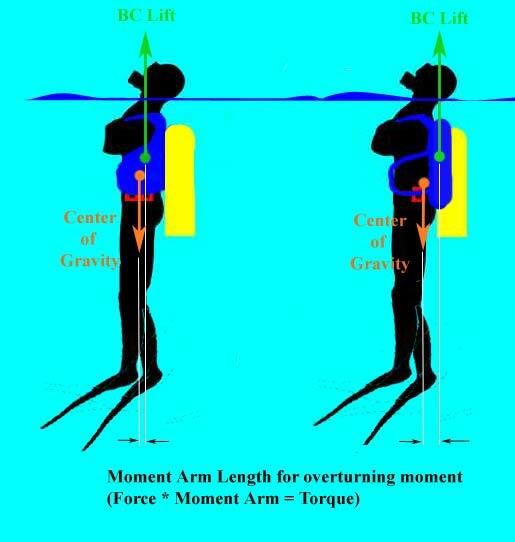 "Buoyancy Control of Open Circuit Scuba". United States Navy Experimental Diving Unit Technical Report. NEDU-RR-8-57. Retrieved 2009-06-13. ^ a b Janney, G. M; Hanger, G. W (1960). "Walter Kiddie and Co. - Buoyancy Compensating Tank". United States Navy Experimental Diving Unit Technical Report. NEDU-Evaluation-7-60. Retrieved 2009-06-13. Acott, Chris J. (1996). "An evaluation of buoyancy jacket safety in 1,000 diving incidents.". South Pacific Underwater Medicine Society journal 26 (2). ISSN 0813-1988. OCLC 16986801. Retrieved 2009-06-13.